Apple is working on a fix for an issue causing some iPhone 8 and iPhone 8 Plus owners to hear intermittent crackling noises when using the device for phone calls, the company told The Verge in a statement this afternoon. "We are aware of the issue which is affecting customers in a small number of cases," said an Apple spokesperson. "Our team is at work on a fix, which will be included in an upcoming software release." Many MacRumors readers began noticing the static noise shortly after the iPhone 8 and iPhone 8 Plus became available last Friday. It is described as a "very annoying" crackling sound that can be heard from the earpiece of the device during both standard calls and FaceTime calls. It is a high-pitched crackle like an audio pop that happens in the earpiece top speaker intermittently during calls. Some calls are fine and others crackle. It is not audible on earphones or on speakerphone, only through the earpiece. The caller on the other end doesn't hear it. Changing cellular settings like WiFi calling or Voice Over LTE does not seem to improve the problem, and resetting a device also does not appear to offer a reliable fix. It's not clear when Apple will release another update to fix the issue, as no specific time was provided by the company. 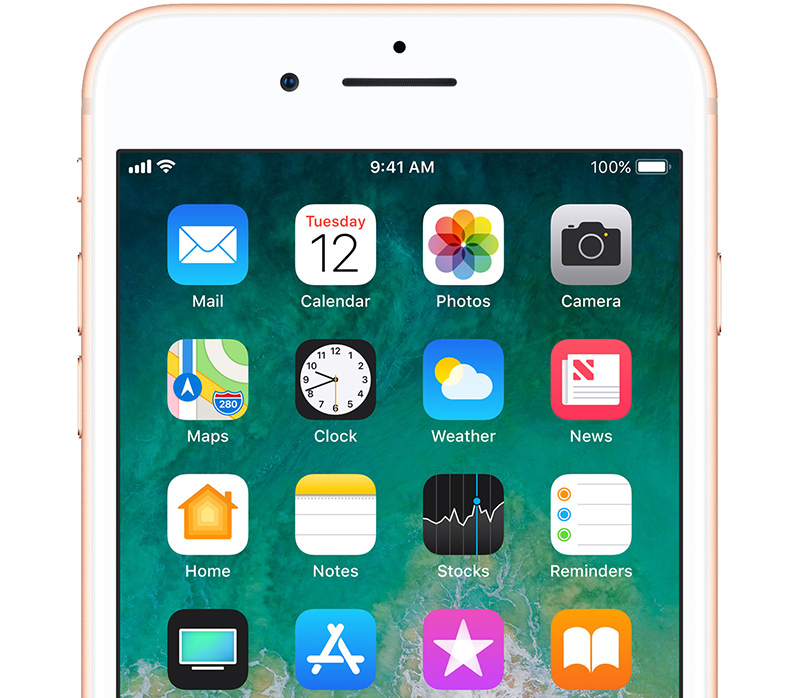 Apple's first iOS 11 update came out this morning, addressing an Exchange email bug that prevented many users from sending mail from Outlook, Office 365, and Exchange Server email accounts. The level of sloppiness at the company recently is mindblowing. iStatic. It's a magical feature that provides calming white noise. Damn lots of anger towards Apple. This happens with any product and early adoption, cars even. And they cost more than a phone. And iOS 11 buggiest ever? Things get fixed and sorted out. Don't let Apple slide on this. They are a premium company and consumers expect a premium experience. Their quality control has gotten worse over the years. Nope. They deserve the anger this time. Apple doesn’t deserve to be excused at all for piss poor software. This whole “it will be fixed in a future update months from now so quit complaining!” mentaility from people is the problem. If we say nothing and just clap at everything they do then expect nothing to change. My iPhone 4 and iPhone 5 didn’t lag, jitter, stutter and have UI inconsistencies and glitches when I first used them out of the box. My iPhone 8 Plus however does. And this is supposed to have the fastest processor with the highest of highest Geekbench scores. Proof that they’re slacking in the software in terms of polish, UI, and bugs and they have been ever since they redesigned iOS with iOS 7. In my opinion, IOS 11 has been Apple’s most bug-ridden update to date. I know the software is very complex, however I wonder at times how this release got out the door in such condition. It's funny Apple is now falling under the same scrutiny as Microsoft once they got huge..
“Small number of cases” somehow I doubt that..
Their commercial watch this really pissed me off. Apples quality control has gone downhill and has gotten lazy. Come on now. For how much you want customers to pay for your devices, get your crap together.